Mercury is very beautiful planet. It is also known as prince. It has earth element. It is the owner of Virgo and Gemini sign. Mercury is the factor of intelligence, concentration, speech, skin, beauty and fragrance. Mercury also relates with communication, nose, ear and throat. It makes memory powerful. It gives success in mathematics and financial matters. A person faces skin problems due to weak Mars. He gets wrinkles on his face. He suffers with cold-cough and allergy. He takes time to understand the things. He has low memory. They forget thins repeatedly. They face ups-down in financial matters. 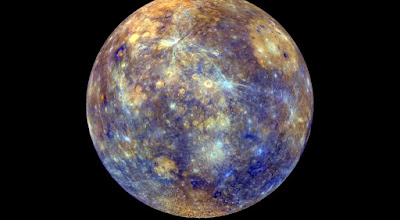 If Mercury is very weak then person cheat and fraud. Children face nose and ear related problems due to weak Mercury. In this case, you should take care of their food habits. Children should eat green vegetables and fresh food. Take care of your conduct. You can also chant “Om Bum Budhay Namah” mantra. One cannot decide age when Mercury is strong. A person looks young. They have shiny face. They are savvy and they always talk clearly. They understand the things easily and remember for long time. They love fragrance. They stay away from stench. Person works in financial and consultation. They have good expression capability. They are devotee of Ram, Krishna or Vishnu. One should avoid stench to strength Mercury. Use fragrance. Light green color is also beneficial to strength Mercury. Do not use more beauty products. You can use more green vegetables in diet. Wear brass ring in little finger on Wednesday evening. You can worship lord Vishnu or Krishna. You can also chant “Om Bum Budhay Namah” for 108 times in the morning. People who are active in sport their Mercury is strong. Mercury is owner of speech. You can also go in music field. They have good knowledge of instruments. People whose Mercury is strong they are good in financial, marketing and management fields. Remedy: Eat food facing north side. You will easily get success. Never wash your hand and mouth in plate.